There are few skaters out there with a style so smooth and a bag of tricks as deep as Sydney’s switch-stance soldier, Mister Chima Ferguson. His reputation for dropping hammers dates back to 2005 when Chima came through with his first full video part in Jaimie Fazackerley and Su Young Choi’s Killself video. For a part that was filmed in under a year and came out when he was only 16, it earned him spots on Real, Vans, Volcom, Spitfire and Thunder. Since getting on Vans in 2005, he’s known for setting the tone with a 13-stair switch backside tailslide in Propeller and wrapping things up in Spinning Away with a switch back tail bigspin. Chima’s relaxed approach towards the wild spots he’s known for taming really shows in his latest shoe with Vans, the Chima Pro 2. 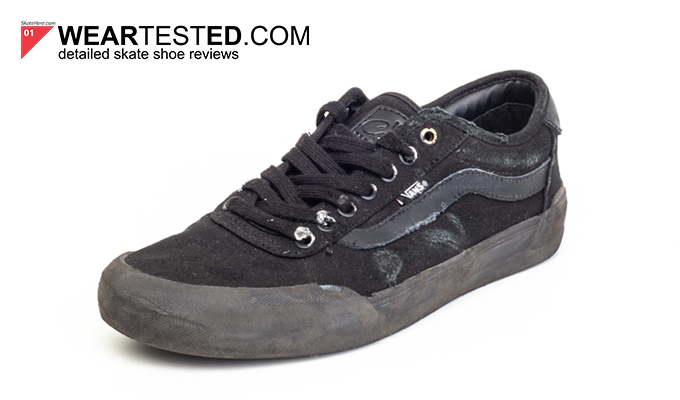 The Vans Chima Pro 2 fits true to size albeit a bit snug between the tongue and the footbed. The Chima Pro 2 comes equipped with either a canvas or suede upper and is wrapped with an ever-durable rubber toe cap. 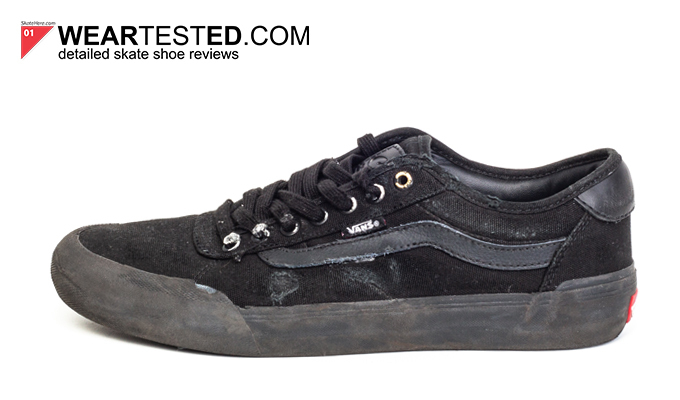 The shoe is further supported with Vans’ signature DURACAP upper reinforcement in high wear areas, which really helps extend the life of these shoes. In the 10 hours I spent skating these shoes, I managed to rip through the canvas upper but I wasn’t tripping, the DURACAP had my back and protected the side of my foot from the unforgiving wrath delivered by a fresh sheet of Mob grip tape. Any canvas shoe is bound to blow out quickly, however, the Chima Pro 2’s allow you to experience the style and comfort of a canvas shoe, but with the added durability of DURACAP looming beneath. It’s also easy enough to dab a bit of Shoe Goo over a forming hole and you’ll be good for a long time. The rest of the shoe held up very well. The rubber toe cap, while not overly pronounced like many other shoes these days, seems as if it’ll outlast the rest of the shoe no matter how many kickflips you end up doing. The toe cap is low profile, but it’s also pretty thick – let’s just call it “slim thick”. As someone who doesn’t usually skate rubber-toed shoes, these definitely take a bit of getting used to. Once Mr. Toe Cap and I got acquainted, there were no real issues with flip tricks. One detail I was pleasantly surprised by was the bit of raised rubber around the heel area…almost like a heel cap of sorts. As a heel flipper, this small detail was much appreciated. So where’s the room for improvement? Well, in terms of durability there’s not much I’d change. The lace placement sets them up to rip easily, but this is a known issue among nearly every skate shoe. If you’re concerned about ripping a hole in the canvas, consider trying out one of the suede colorways. At first glance, the Chima Pro 2 doesn’t look like it offers much in the cushioning department. 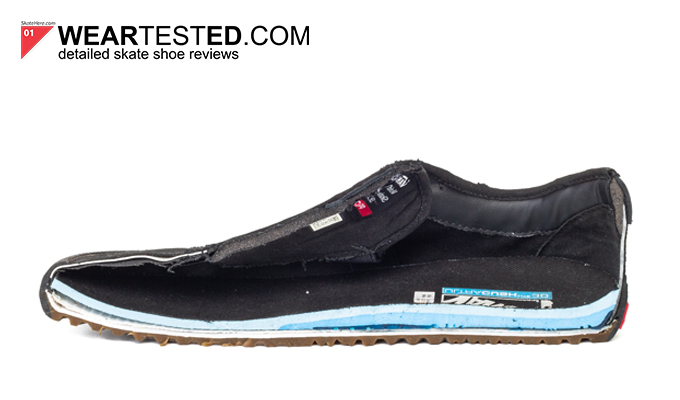 However, dive a little deeper into the tech and you’ll find that between the new Vans UltraCush 3D Lite footbed, the Duracap fused upper elements and the evolved foxing tape of which wraps the shoe, there’s plenty of impact protection here. Let’s talk insoles real quick. 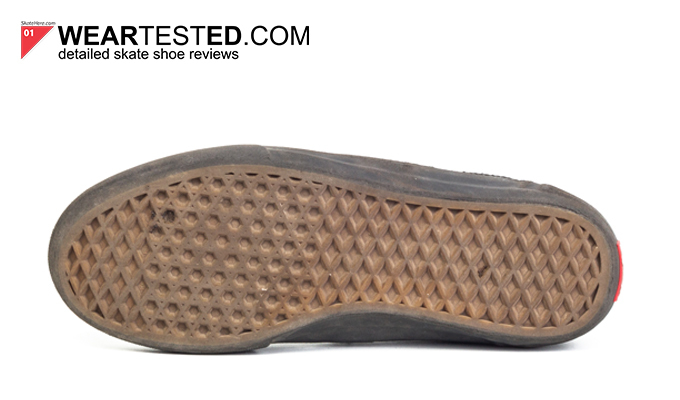 If you’re already familiar with the UltraCush footbed seen in many of the Vans Pro shoes, then you know it’s a pretty solid insole. The new UltraCush Lite 3D footbed reminds me of what UltraCush Lite would look like after being bullied by Wecking Ball to hit the gym. It’s a solid welterweight insole that’s nearly the same shape as the UltraCush Lite, but features dual-density foam surrounded by a molded heel cup that keeps the heel in place, while better-absorbing impact. The board feel is still what you’d expect from a Vans shoe, which is exceptional. The Chima Pro 2’s shape is pretty standard for Vans. Shaped similarly to an Era Pro, the Chima Pro 2 is a reinforced slim shoe designed handle any situation you might be in. As someone who likes a bit of a pointier toe, this shoe really hit that sweet spot for me. They’re slim enough to feel at home doing slappies and weird no-comply variations yet have a bit extra under the hood which lets it handle more impact-intensive skating. One thing to note is the snugness of this shoe. While the sizing lengthwise and widthwise was perfect and true, between the tongue and the footbed felt pretty snug. It definitely loosened up a bit after skating for a couple hours though. I’m happy to report that the board feel and grip of the Chima Pro 2 is wonderful. The UltraCush Lite 3D tapers down by the toe and balls of your feet, really optimizing board feel. Finding a balance between protection and control is always tough, and I believe that the Chima Pro 2 straddles this line as comfortably as Buffalo Bill once straddled his loyal steed. The grip is great too. Between the waffle sole and the Duracap toe cap, there’s more than enough grip to go around. A low-profile toe cap like this one allows for a grippy yet controlled flick. It took me a little while to get used to how quickly my board was flipping, but once the shoe wore-in a bit things felt good. The shoes were pretty comfortable. As I mentioned earlier, they felt a bit snug despite fitting true to size length and width-wise. While they definitely loosened up over the 10 hours I skated them, they still remained a bit tighter than I would have liked. Ventilation-wise, the Chima Pro 2’s don’t offer much in the airflow department. 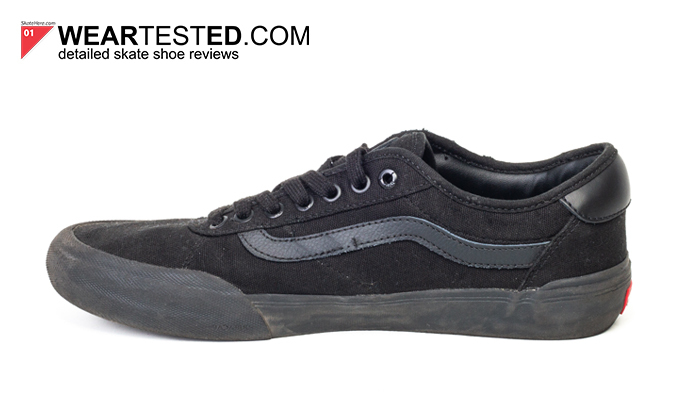 If you’ve skated any other Vans before, these are pretty much on-par in terms of breathability. There are no air holes or vents built into these, so I can imagine you’d probably get pretty sweaty feet during the warmer months. In all honesty, skate shoes aren’t known for being very breathable, to begin with, so this shouldn’t really deter you. Despite the low-profile of these shoes, they still felt very stable. The UltraCush Lite 3D insole provided good cushioning and definitely added to the overall stability of these shoes. 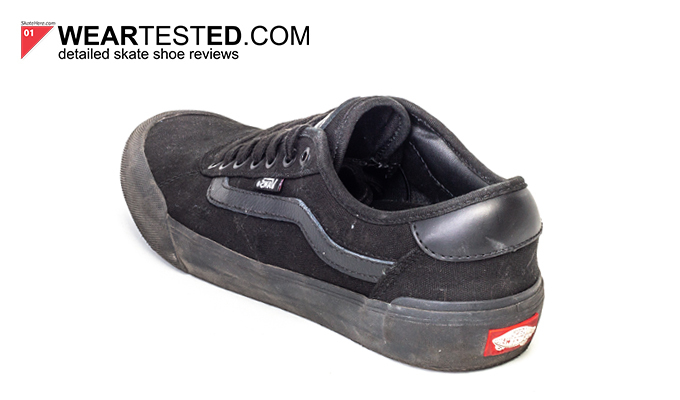 Also compared to other Vans Pro shoes, these felt like they’d hold their shape better over time, most likely due to the Duracap reinforcement throughout the shoe. One thing that stuck out to me is how low cut the collar is around the ankle area. This didn’t do much to help me feel protected, but in terms of comfort, it definitely improved range of motion. If you’re already skating a very minimal shoe, this shouldn’t affect you much. The Vans Chima Pro 2 is a true slim thick shoe. It’s trimmed down in all the right places, yet caked up where it needs to be. 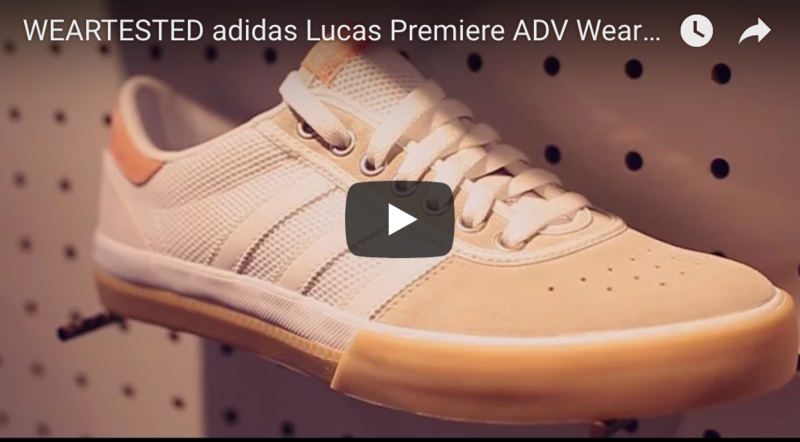 Whether you’re hitting red curbs on the weekends or battling 5-flat-5’s when most others are at their 9-5’s, these shoes definitely have something to offer for every type of skateboarder.